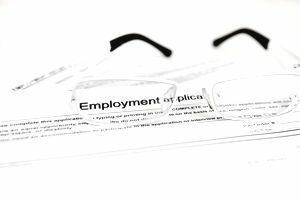 Do you need to include every job you ever had on a job application? What if there’s not enough room to list them all? How about when some of the jobs you have held aren’t relevant to the positions that you are applying for now? When job applications are online, there may be space to list an unlimited number of past positions. On other applications, you may only be able to list a certain number of jobs. How many positions should you list? And, what's more important: quality or quantity? There are strategic reasons to include — or exclude — certain past jobs. As a general guideline, you should focus on crafting your work history to best support the specific position you are applying to. If you have an extensive work history, it will be more difficult to represent your experience in an easily digestible form. At the same time, you'll have more options as to which positions you choose to include. Candidates with limited experience will not have as much leeway since they'll need to present at least some evidence of past employment. The exact number of jobs to include on your applications will depend on your personal situation, but here are some suggestions to help you to decide on how to represent your unique work history in a job application best. Here are some tips for deciding how many jobs to include in job applications. Look for indications of whether employers make statements like "list all past jobs." In these cases, you will be limited to following directions and should include all positions that fit within the available space. Leaving out jobs, particularly during your recent work history, could be grounds for rejecting your application. In the case where you have many jobs in your distant past that are not relevant to the job for which you are applying, you could summarize your employment during that period. For positions more than 10 to 15 years in the past, for example, you could say, "Worked in a variety of retail services positions from 1990-1995, details available upon request." Some applications will specify that you list all positions for a certain time frame, like the past 5 or 10 years. In a case like this, you should cover all positions in that segment of time, but you can be selective about what you include in years prior. Regardless, make sure you find a way to incorporate all jobs that show evidence of critical skills or knowledge bases. If you've left out jobs that you had outside of the employer's timeframe, for example, and those positions are irrelevant to the current position, you can write something like, "Highlights of additional employment provided below. Complete work history available upon request." if there is a place on the online application for additional information or notes. Be brief when describing irrelevant jobs that you are forced to include, or jobs that are from the very distant past. Instead of detailing duties that aren't impressive, make other points. If you held an evening job at a restaurant, for example, you might say "Worked extra hours to expedite the repayment of college loans." If applicable, you should also highlight promotions, awards or key successes. That way, even if the work isn't relevant, you can at least make a point about other aspects of your candidacy. If you aren't directed to provide your entire work history or all positions within a certain time period, limit the number of positions to those jobs most relevant to the position you're applying for. However, be sure that you aren't creating gaps in your work history. Applicants with a limited number of non-related experiences should try to incorporate volunteer and co-curricular roles. If the employer doesn't have a special category on their application for volunteer experiences or activities, then include these experiences within the employment section. Label them appropriately, so it is clear that the positions were unpaid. For example, you could list volunteer activity as "Volunteer Event Coordinator, PTA" or "Fundraising Volunteer, American Cancer Society." Some candidates are reluctant to leave off less pertinent positions because it would create gaps in employment but don't want to include less impressive jobs. In this situation, one option is to leave these jobs off and use the comments or additional information section to provide an explanation. This approach will make the most sense if you have an easily understandable rationale for taking time away from your career or downshifting to a less relevant, or impressive position. Perhaps you were taking courses, raising a child, or caring for a family member. Keep in mind that your cover letter might also be a place where you can account for any disturbances in your work history. It’s important to portray your employment history in the best possible manner. If you can closely match your experience to the employer’s requirements, you’ll have the best chance of getting hired. However, it’s even more important to keep your job applications honest. When you sign (on paper or online) a job application, you are attesting to the fact that what you have listed is accurate and truthful. Employers can, and do, verify the information that job applicants give them. If your application isn’t honest, it can cost you a job — either now or at any point in the future.